For several years I have been trying to add more French-inspired items to our house. Whenever something needs replacing, I look at possible replacements through a French-inspiration filter. Will the replacement add to an overall French look? Adding French touches with small accessories is not very hard. 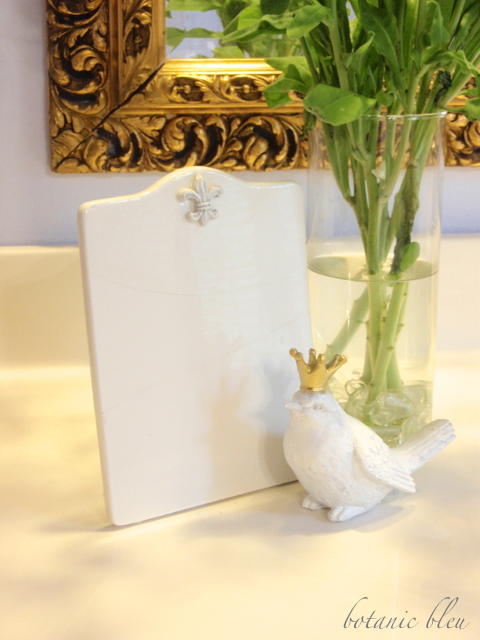 A fleur de lis here, a gold-crowned white bird there, and the arrangement is French inspired. Small items like the little bird are easy to move around and to store when not in use. He can sit on a dining table, the mantel, atop a stack of books, inside a bird cage, in a flock, or alone. He adds a French touch to Christmas, spring, fall, and birthdays. Wherever he flies, he adds French inspiration. 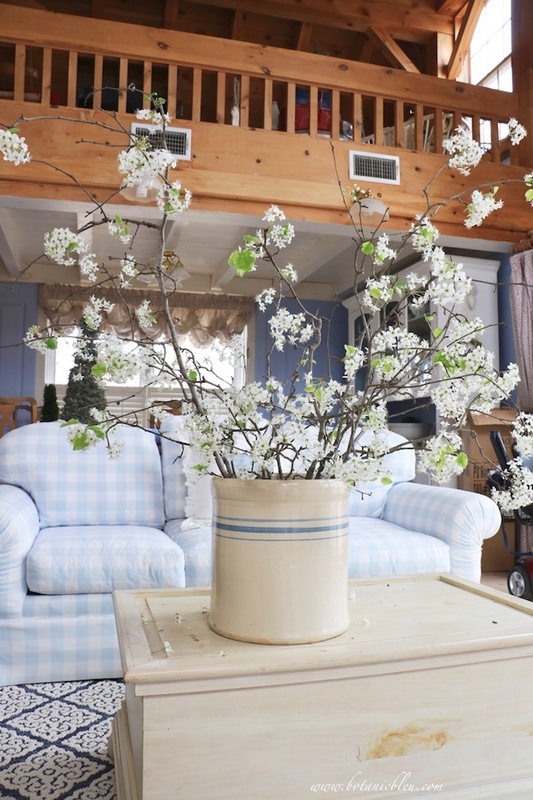 White flowers also add a little touch of French design in any room. 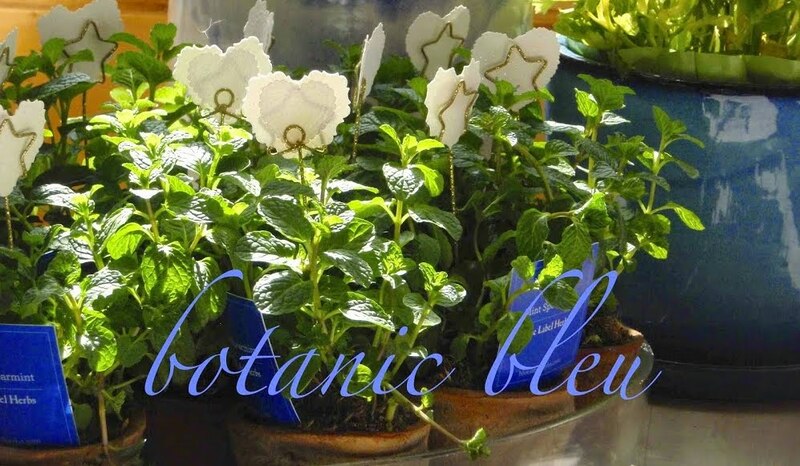 White stock stems from Trader Joe's cost very little and are easy to arrange. 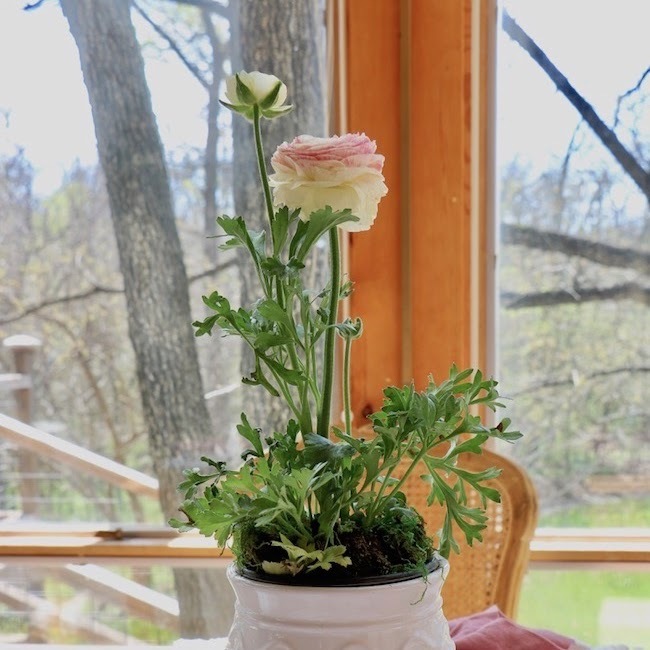 They even gracefully lift their arms upward after being placed in the vase. When it comes to larger items like beds, chests, chairs, and mirrors, I found it harder to find just the piece that meets all the requirements.... size, color, style, budget... What if the new piece does not really add to the over French feel I want? Small accessories can be replaced easily, but large-ticket items are around for a lot longer. Even longer now that I am retired, on a fixed income. 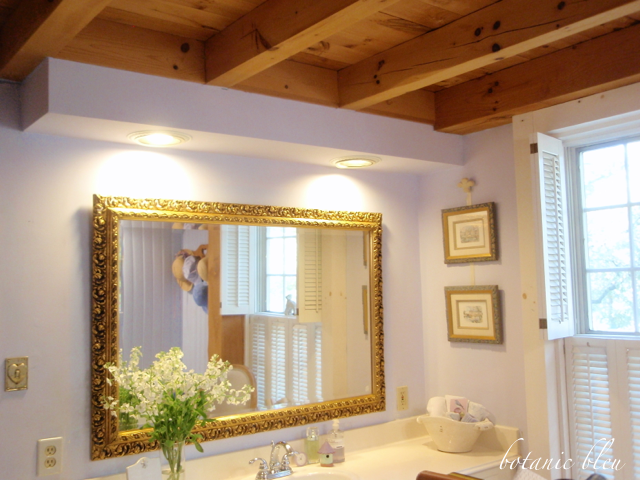 For the past two years I have been working on my master bathroom, changing it from an American country feel to French country. 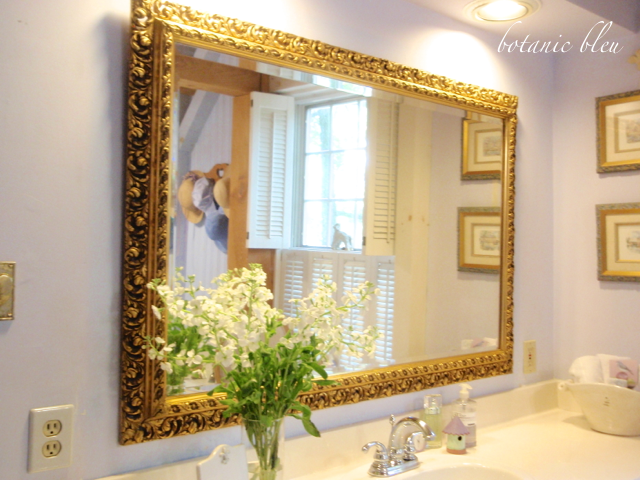 One of the things I have been looking for is a French-style large mirror to replace the builder-grade sheet mirror over the vanity. 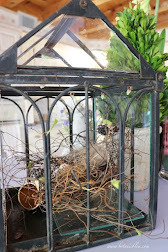 Last fall I looked for days at the Round Top Antique Show. Life has a way of taking unexpected twists and turns. This mirror was my mother's. Over fifty years ago I went with my dad to pick out a Christmas present for my mother. I don't remember if Daddy knew Mother wanted a beautiful gold framed mirror, but this mirror is what I helped Daddy choose for Mother's Christmas present that year. We only went to one furniture store, no other place. The mirror first hung over the sofa in our living room in the house that had a crystal chandelier. 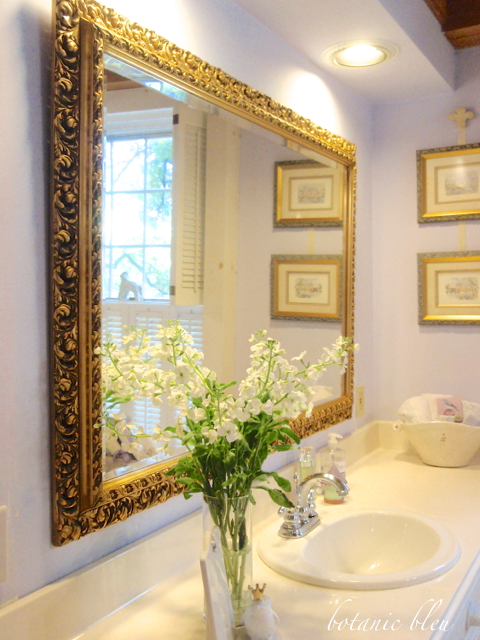 Maybe the chandelier is why we selected this ornate three-dimensional frame and the beveled edges on the mirror. Over time, my parents lived in three other houses before building their final retirement home. The mirror hung over the fireplace in that house for over twenty years. Many years ago Mother told me the mirror would be mine one day. The mirror has special meaning to me because of the memories of buying it with my dad for my mother. In late August, the mirror came home with me. 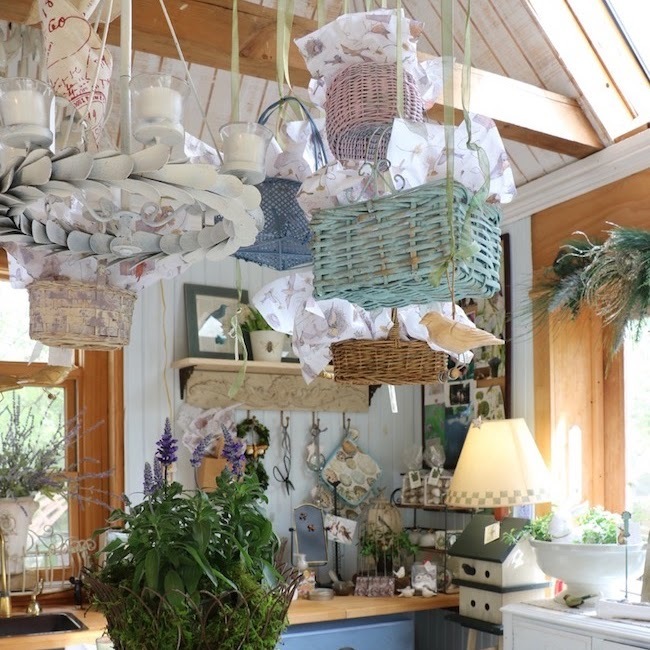 I think it has a French style and definitely fits the French way of living in which French families use cherished pieces from their parents and grandparents to furnish their houses. Yes, this piece adds an overall French look. 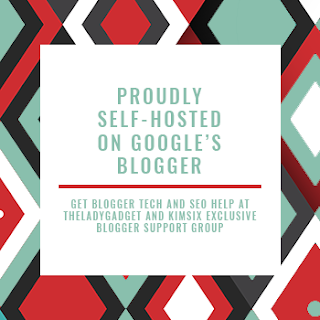 You may like to view the following related posts also. 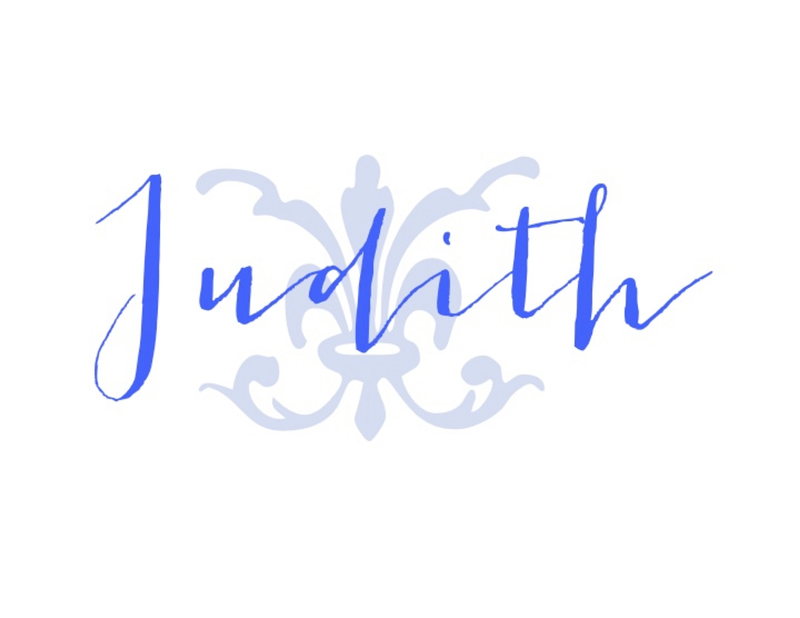 Judith, you have unparalleled taste for elegance! I love the memory behind that lovely mirror, and the sentiments behind it make it very special to you, I know. How wonderful to have something so special from your youth now gracing your home. I too love how the French use generations of furnishings in their homes. This was such a beautiful post, Judith, and I think the mirror has found the perfect spot. Lovely. Judith, the mirror is so beautiful and elegant...and how wonderful that it belonged to your mother and that you helped pick it out for her. 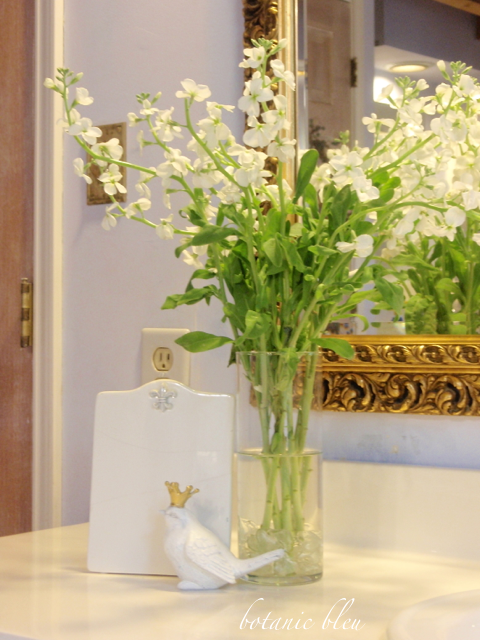 I think it looks great in the bathroom and makes such a difference...definitely adding French charm! So gorgeous!! 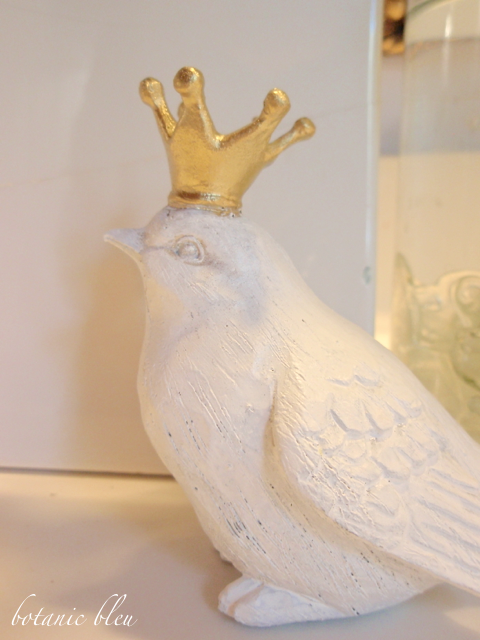 The little bird with his crown is so adorable also! Hugs!! 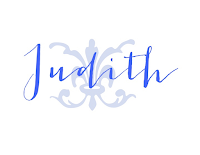 I love the “unexpected twists and turns” and a happy ending to your beautiful story, Judith! Your Mother’s mirror fits in the space wonderfully. I love when a family piece fits in so well adding all the right kind of rightness to a homes space. I also love how Golds work so well with the golden tone In the wood beams and ceilings, it really brings warmth from the ceiling down to the floor. What a beautiful mirror. It must bring back so many memories for you of family and friends! 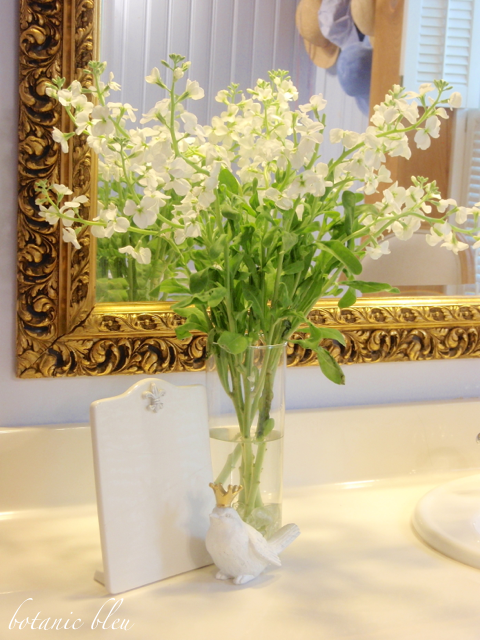 It looks great in your bathroom and will bring you joy for many more years to come! Family pieces are priceless! Sigh! 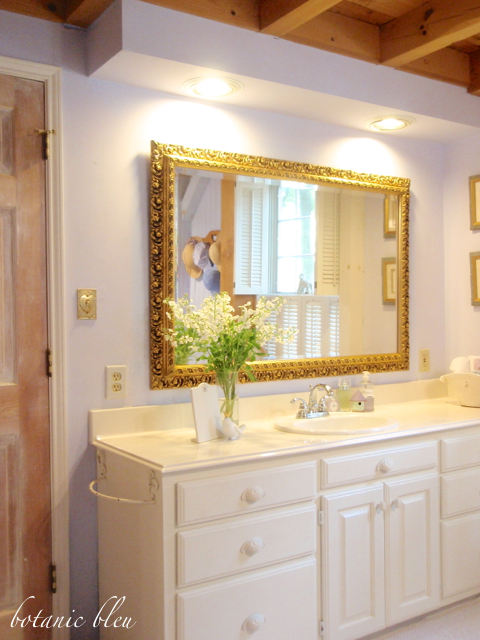 Love the vignette and the bathroom with the mirror. Very special. Condolences again. Some changes are bitter sweet. Your mirror is beautiful! Thanks for sharing at Home Sweet Home! The mirror is absolutely perfect there. I love that you have such special memories attached to it. What more could you really want? 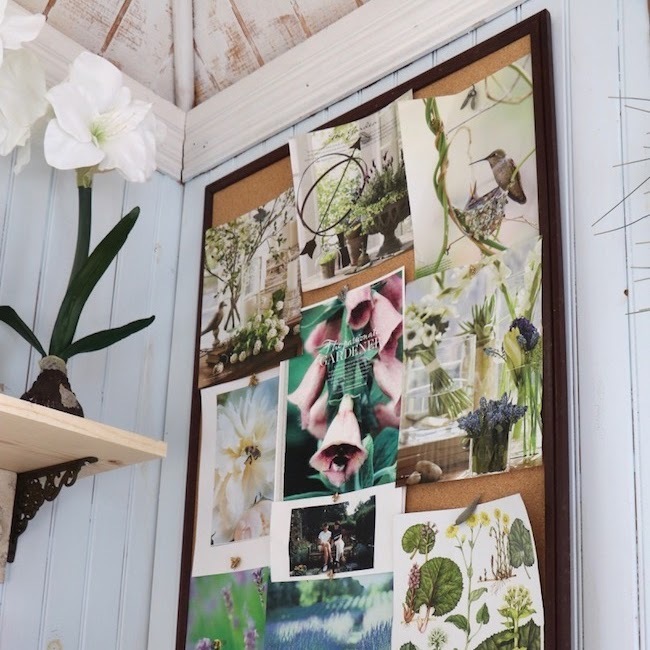 Almost all of the walls in my house are light periwinkle blue which tends to look lavender at different times of the day with different lighting. Lavender-colored items to very well with it.